Ashley Horton Designs: Altenew January Release Blog Hop II + Giveaway! 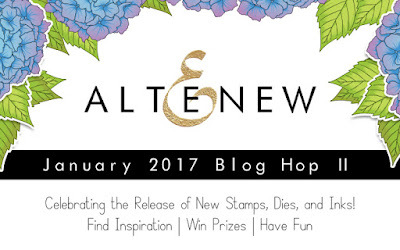 Welcome to the Altenew January Release Blog Hop II! Altenew is releasing 18 stamp sets, 18 die sets, and 12 inks today! You can join in the Blog Hop from the beginning, by visiting the Altenew Blog Post HERE. 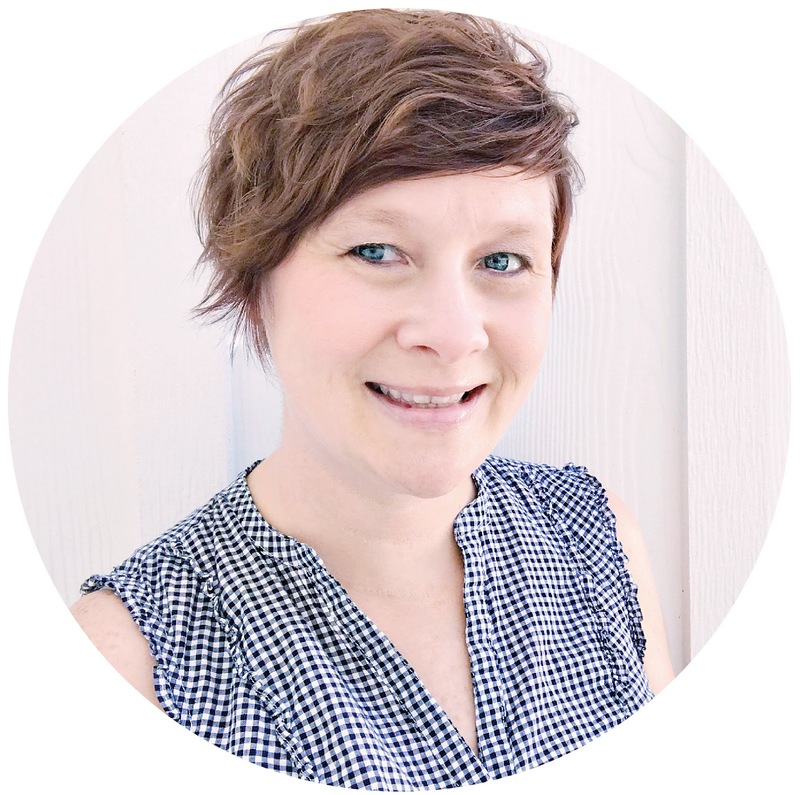 You should have arrived at my Blog from Heather Hoffman's Blog. I am sharing a layout today, using the new Hibiscus Bouquet stamp set and the Basic Borders stamp set. I have to say, that I am no expert stamper, but I really love the stamp designs and ink pads from Altenew. They make stamping so easy, and I Iove the stamped images on my layout, mixed with products from the Reflection Scrapbook Kit. I started my layout by stamping several of the flowers and leaves from the Hibiscus Bouquet stamp set, on to White card stock. I used a variety of ink pads from Altenew, including Warm Sunshine, Coral Berry, Frosty Pink, Forest Glades, Olive, Moss and Bamboo. Next, I fussy cut all of my stamped images and started the design of my layout. I used a large cut file in the background of the layout, backed with patterned paper from the Reflection Scrapbook Kit. Then I placed one of the large floral chipboard pieces from the Kit on the bottom left side of the large circle. I wanted to use the chipboard piece, as the anchor point for adding all of my stamped flowers. I arranged the flowers on each side of the chipboard, adding pop dots to some of them, to create varying dimension in the large cluster. I also used the fun arrow image from the Basic Borders stamp set, around the outer edge of the cut file. I placed the border stamp on my background paper, in a curved shape, and then picked it up with my clear block. I used the Coral Berry ink to repeat the image around the outside of the cut file. 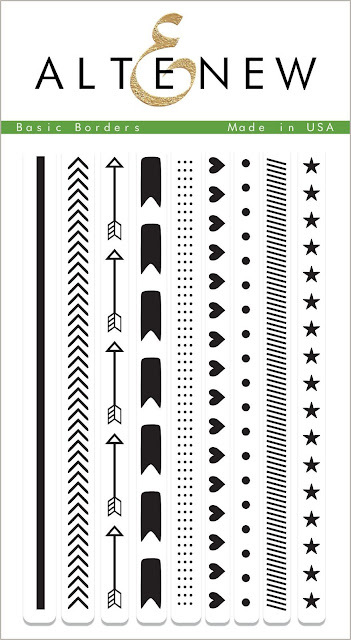 You can find the stamp sets I used, as well as all of the other new designs, by visiting the Altenew Shop. 1. To celebrate this release, Altenew is giving away a $50 gift certificate to THREE lucky winners! Please leave a comment on the Altenew blog by Thursday, February 2nd at 11:59 PM EST for a chance to win. The winners will be announced on the Altenew blog on Saturday, February 4th. 2. I am giving away a $30 Gift Certificate to the Altenew Shop. Just comment below and one random winner will be selected on Saturday, February 4th at 8:00AM EST. Your layout is totally stunning I love the flowers and the colors you choose to put around are perfect! Congrats for this new design team Ashley! It is layouts like yours that remind me that I want to use stamps more on layouts. Simply beautiful with unique results. I love the colors you used and the layout of your page. So pretty! Love the colors in this layout so beautiful. Gorgeous layout Ashley! Love the vibrant colors and elements, thanks for sharing! Fantastic inspiration! I love how carefree the hibiscus stamps look! Inspiring composition that show off the person beautifully! Beautiful layout!! Love how you stretched the arrows into a circle shape! I just ordered that set, and I probably never would have thought of that! That's a really cool scrapbook page. I love the bright colors you used. Very creative mixed media art! Thank you for sharing! My favorite stamp set is the Hibiscus. What an absolutely beautiful scrapbook page. Thanks! Beautiful layout. I love the way you used the stamps. I'm not a scrapper, but I really like your layout. Pretty, pretty, pretty!! Such a lovely layout!! I used to scrapbook and haven't done that in a while. . .this piece is very inspiring and makes me want to jump back in!! Very pretty scrapbook page! Love these new stamps! This. is. GORGEOUS!! Such a beautiful layout! What an amazing page Ashely. Fantastic lay-out... love the arrow border around the circle... so cool. The layers of elements are just perfect. Wow, I'm so glad I hopped over. You are so talented and inspiring! SO VERY PRETTY! I love to scrapbook. Your layout is gorgeous, I need to catch up on my scrapbook, thanks! So creative! Love how you put this together. Really inspiring! Thank you! Awesome is the perfect word for your beautiful layout page. 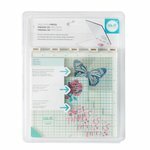 Altenew can be used for cards, scrapbooking, everything...great designs. GORGEIOUS scrapbook layout, work of art! What a beautiful page! Love how those gorgeous flowers frame the picture. Your color choices are wonderful & the Hibiscus set is my favorite from this release. Thanks for sharing. FAB layout, beautifully designed! I adore how you split the LOVEly!!! Am always amazed to see what scrapbookers can do. Lovely design. Love all the colorful layers! Thanks for the chance to win. Such an amazing page, Ashley!! This is a fantastic layout Ashley, love how you embellished the page with those beautiful flowers. So pretty! Stunning layout. Love the explosion of colors and the delicate blooms. Wow, what a fabulous layout! So much detail! Very creative layout! So colorful! luv seeing the scale/size of the florals! Your layout is lovey too! Awesome layout. I so enjoy seeing layouts that use stamps. Beautiful layout and colors. Thanks for sharing. Thanks for sharing your wonderful cards! Love the layout and the stamping you did. Thanks for sharing. So wonderful to see these great stamps in use on a scrapbook page - this is beautiful! Love your scrapbook LO! I love how you surrounded your daughter in flowers! Love how you used the flowers in this layout. So pretty! Thank you for doing a layout. I love making cards, but I also scrapbook and it so nice to see inspiration for a layout. That being said, your layout is stunning. I love it. Fabulous LO with a lot of eye candy! OMG, I love the entire lo! The color palette, the background cut file, and all of your wonderful attention to detail stamping and stitching. Beautiful! Love yhe hibiscus stamp set! Awesome to see some stampin' used in a good ole scrapbook page. Awesome! Awesome layout, Ashley. Despite your comment to the contrary, you sure look like a stamping expert to me - your work is beautiful :-)! Love the layout that you created!! Your layout is so pretty Ashley. I really like how you used the border stamp to highlight your large circle. Thanks for sharing with us. Your layout is beautiful. Great design! Fantastic project, thanks for sharing. Beautiful colors and a great composition. Just gorgeous! Love the layering! Love your layout. I'm a card maker but this makes me want to try something else. Lovely colours and design. This is a lovely layout! I love all the different elements you have used. That is a simply amazing scrapbook page. I didn't know Altenew had a Scrapbook kit! Beautiful picture of your daughter - she looks JUST like you. Thank you for the creative inspiration. I am not a scrpabooker, but I certainly can admire a stunning and creative layout! 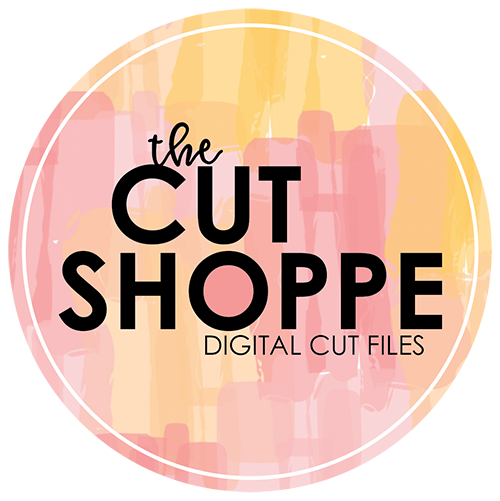 I'm a stamper dipping my toe into the enticing world of Scrapbooking and I'm inspired by the way you used the stamps as layering tools for a layout. Your page has really opened my eyes to the possibilities of scrapping. I love the stamps used and the new colours are gorgeous. Wow, I love the way you used the flower stamp on your layout. So beautiful! I only make cards, so when I see a layout like yours I am overwhelmed! It is lovely! I love the stamps and the colors you used, the shape of the layout and the ephemera you used on it. Thank you for sharing it! Lovely showcase o sets on the layout! Love the scrapbook layouts. Thanks for the extra chance to win. I love this! the colors are so fun and vibrant! I like the way you used the stamps on the layout with all the layering of the dies. Beautiful arrangement and stamps/color. Hope I can copy some of these cards. Thank you. Awesome layout! Thanks for sharing! Your colors are so vibrant! Thank you for sharing! Great page, love it. Thanks for sharing. Beautiful layout, love the watercolour look! Wow! Superior work on this collage! Hi Ashley. I adore your lo and pretty elements. I love the arrows in a circle and your beautiful collection of flowers and accents. So pretty. Ashley, your layout is just gorgeous! I typically don't stamp when I make a layout but your creation has me wanting to! Thanks for sharing. Beautiful layout, nice to see a scrapbook page for a change. WOW! Absolutely stunning! I love the Basic Borders and the flowers are divine!! TFs! Really pretty layout! Love that cut file with the patterned paper in the background. What a great layout; bright colors, patterns and texture. Love it! 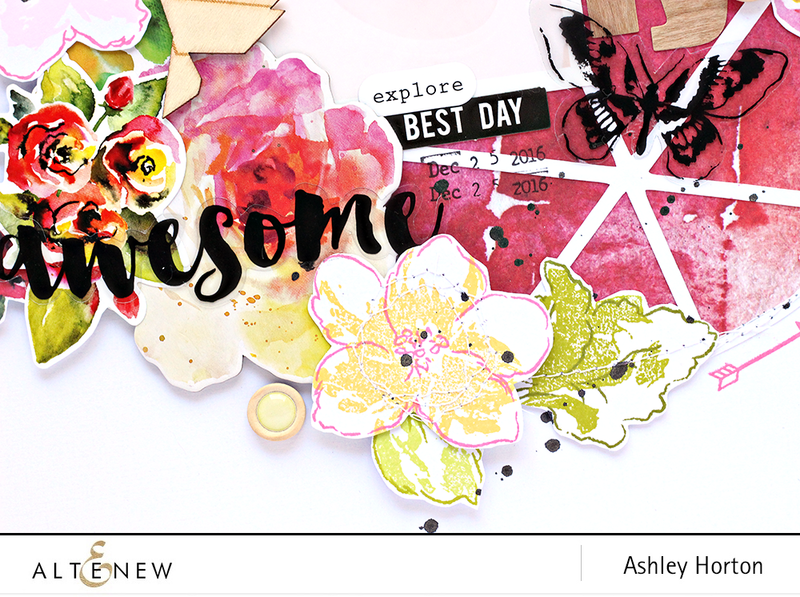 OMG, you layout make me want to start scrapbooking! Beautiful! Awesome job! I enjoyed it so much - all the florals and colors and your design! Excellent. Thank you. Gorgeous layout. I have to complete my goddaughter's scrapbook and this is so ibpiring. So many beautiful details on your layout! Wow - what a gorgeous layout! I love the details you added with the florals and those lovely colors, and the addition of the wooden embellishments. Magnificent work of art! Really pretty layout. The colours are lovely, and all the little details you added really finish it off beautifully. Amazing layout! Masterfully combined elements. This layout is so inspiring. Great selection of color and design to showcase the photo. Thanks for sharing your creativity. Beautiful layout!~ This is such a great release by Altenew! I just love to start my weekend off with a great blog hop like this one! Thanks for sharing your talents and inspiration! Awesome layout- luv your design and color combos! This is a wonderful release! Love your page and how you used the stamps on it. I love are examples of stamps used in scrapbooking! You have given me some great ideas! Love seeing stamps used for layouts, planners and other beautiful projects!! Love the way you framed that beautiful photo with the flowers! Lovely page! Oh my gosh, your layout is Stunning! I love how you arranged all the fussy cut flowers and the arrows around the outside. I'm so inspired to get back to my scrapbooking. Thanks! SO very BEAUTIFUL layout..the fragmented circle with the swag of Blooms is AMAZING:)) Happy Stitching too! I love your cards and am really over the moon about the rose one - gorgeous! Thanks for sharing your gorgeous layout. You used the floral and border stamps to spotlight your photo so well. Beautiful color combo and contemporary design. Love this new release. Thanks for sharing! Amazing layout. Love the colors and composition. Love those designs. Gave me so many ideas!!!!! Thanks. I'm a scrapbooker so I loved seeing layouts using the stamps. Beautiful! your layout is beautiful, love the new stamps sets! Wow, what a fabulous layout!! I love the bold lines and colors! Great layout. i love the colors! So pretty to see how you used these stamps on this gorgeous scrapbook page. Oh this is stunning! Love how you framed the photo with flowers! Great layout. Thanks for the inspiration. OhMyGosh!! I Love the arrows stamp bent around your circle!! What a great layout you made! Altenew has so many great things in this release! The flowers look gorgeous on your layout! WOW, love your layout!! The watercolor feel is very striking and trendy, so fun!! 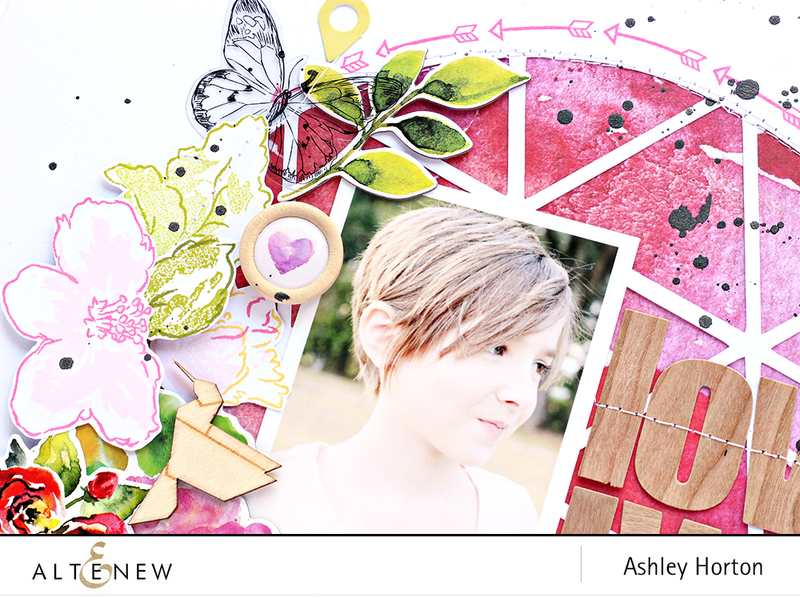 Delightful layout, Ashley! I really love the layering and the feeling you created with the watercolour look. This is such a lovely layout! Great layout, love the floral cluster. Gorgeous layout, such a great design. I really like the way you used the Altenew Hibiscus bouquet stamps. Such beautiful and creative layout! Thank you for great inspiration! Wow...your page is absolutely gorgeous! I love the colors and the flowers. And the borders really pull it all together. Nicely done! What a beautiful layout!! Love the colors and dimension! Beautiful colors and layering, Ashley! Wonderful layout ... and the reminder that we can bend our acrylic stamps. So pretty! Love how the florals frame the photo/circle! Your layout is stunning, I love the design and beautifully colours used! Beautiful layout. You did such a great job with layering the design elements. Thanks for sharing! What a wonderful layout! Love the colors you chose! Lovely scrapbook page! Thank you for sharing! Very pretty layout! 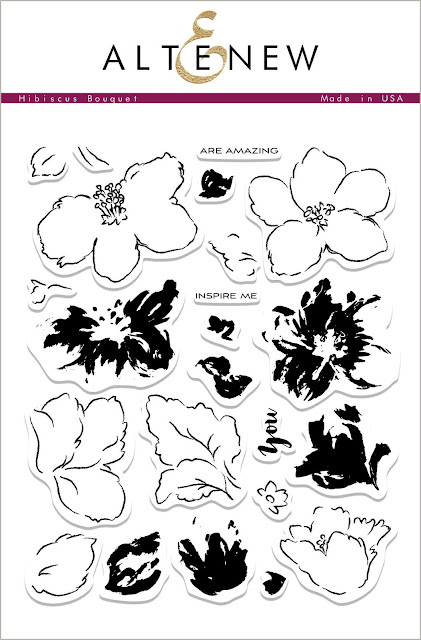 Love the hibiscus stamp set. WOW your layout is beautiful!!! Love it and this new release!! This layout is gorgeous! All of your stamped images really add to the beauty of your design! Your scrapbook page is lovely. I love the design and the arrangement of the flowers. Great page layout. Loved all of the layers.